Traditional Thai Massage or Thai Yoga Massage it is said originated in Thailand over 2,000 years ago. It is the culmination of many years of indigenous Buddhist medicine practices that have developed since the beginning of the what is now Thailand. At the root of this ancient healing system is Metta or compassion, which is shared through the practitioner to the client. The unique influences of many South Asian peoples including pre Ayurvedic medicine from India, and indigenous Chinese medicine..can be seen in the common techniques like acupressure and the mobilization of joints through stretching, similar to yoga. In the last 20 years Thailand has seen a powerful resurgence of this wonderful bodywork . Along with many other wonderful teachings and natural therapies from the East, Thai massage is starting to take hold in the West. Like other treatments from Asia, the bodywork involves the stimulation of energy lines or meridians or Sen as they are called in Thai. The stimulation or massage of these potent energy lines in the body help to release tension and aid in healing of the whole body. Treatments involve the close contact of practitioner and client which can be very nurturing for both. The massage is given clothed on a mat on the floor for proper pressure and comfortability during the session. The stretching is related to yoga postures and accompanies the acupressure, which helps to loosen, strengthen and make supple the muscles and joints of the body. 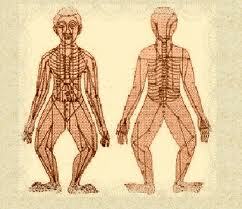 The treatment should not be painful if applied by a skilled practitioner, and does not require any flexibility. The stretches given in the session will be appropriate for your body with sensitivity and gentleness in mind. The primary goal is to bring the body and mind into balance and foster vitality and relieve stress. This bodywork is tailored specifically for the needs and issues of each client. It is a wonderful dynamic massage for anybody at any age and is fast becoming one of the fastest growing modalities of our time.